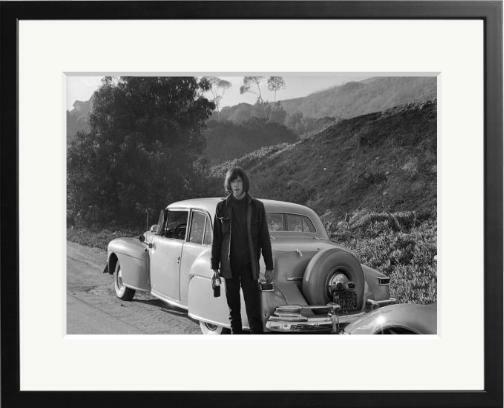 A rare Neil Young photo by Ann Moses from 1967 is available from SONIC EDITIONS. Not sure what kind of car this is but looks to be one of his old classics. Where and when exactly was this picture taken, does anyone know? Does it show Neil on his way to LA from Canada? The trip on which some say he had a nervous system break/shut down in Albuquerque, of later TTN fame.